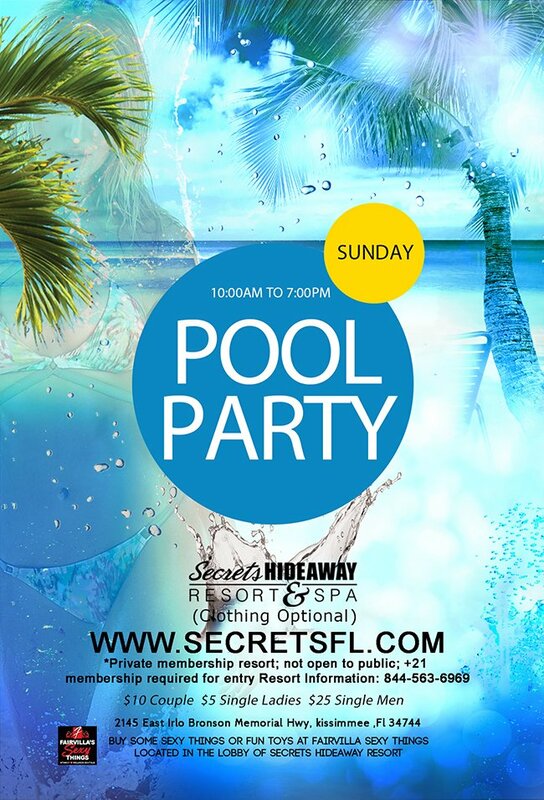 Sunday is for relaxation, so meet us by the pool every Sunday starting at 10 am and stretch out in the warm Florida sunshine, no need for a swimsuit! Come as you are and enjoy complete relaxation in one of our two clothing optional pools. Reserve your very own cabana and lounge in comfort, complete with power outlets, lighting, curtains, and ceiling fan. Order lunch & drinks from the tiki bar and have it all brought to you, as you meet new friends, catch up with your sweeties, and rehash all the weekend’s festivities. Late check out is available on Sundays only, so take advantage of every last bit of weekend and spend the afternoon indulging with your friends at Secrets!